Bring the video game console to your tabletop with Super Dungeon Explore! 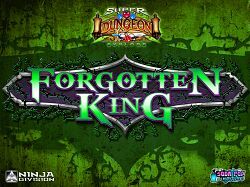 Build a party of brave Heroes to battle through classic hack-and-slash dungeons and defeat the villainous dungeon boss. Beautiful, fully assembled, 16-Bit inspired miniatures bring the game to life over lavishly illustrated dungeon tiles featuring the unique locales of Crystalia. Two complete game modes—Classic and Arcade—allow you to play either cooperatively as the Heroes against an automated dungeon; or adventurously with a game master controlling the monsters.